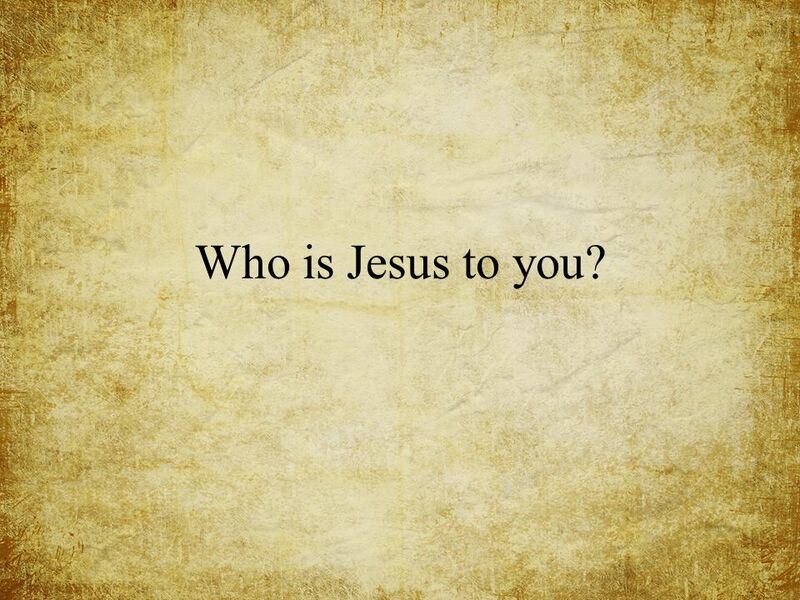 Who is Jesus to you?. 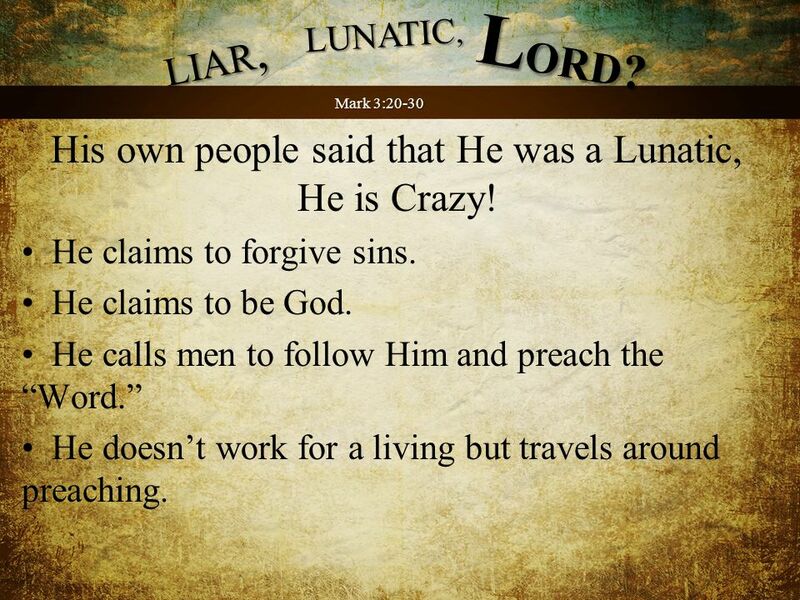 A man who was merely a man and said the sort of things Jesus said would not be a great moral teacher. He would either be a lunaticon. 1 Who is Jesus to you? Download ppt "Who is Jesus to you?. 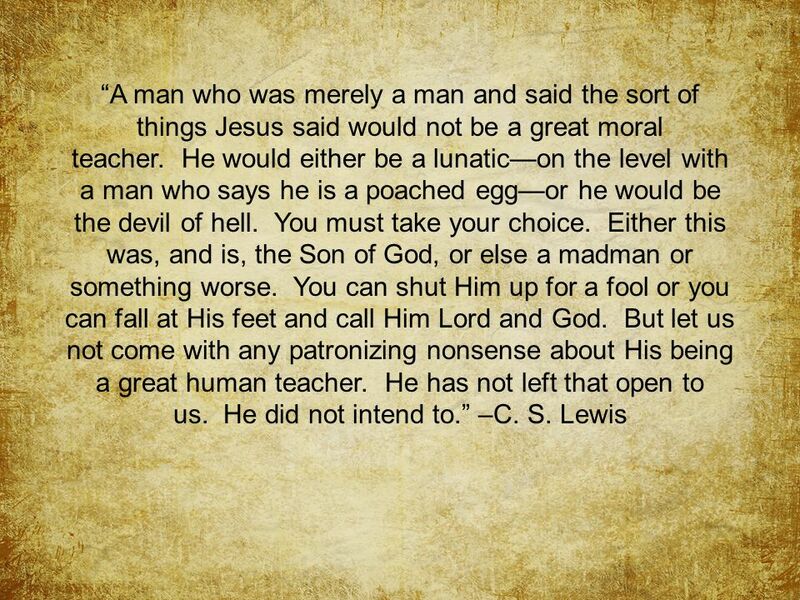 A man who was merely a man and said the sort of things Jesus said would not be a great moral teacher. He would either be a lunaticon." Revelation 5 Lewis Winkler Crossroads International Church biblestudydownloads.com. Rivermont Presbyterian Church P. Ribeiro 1 Mere Christianity C.S. 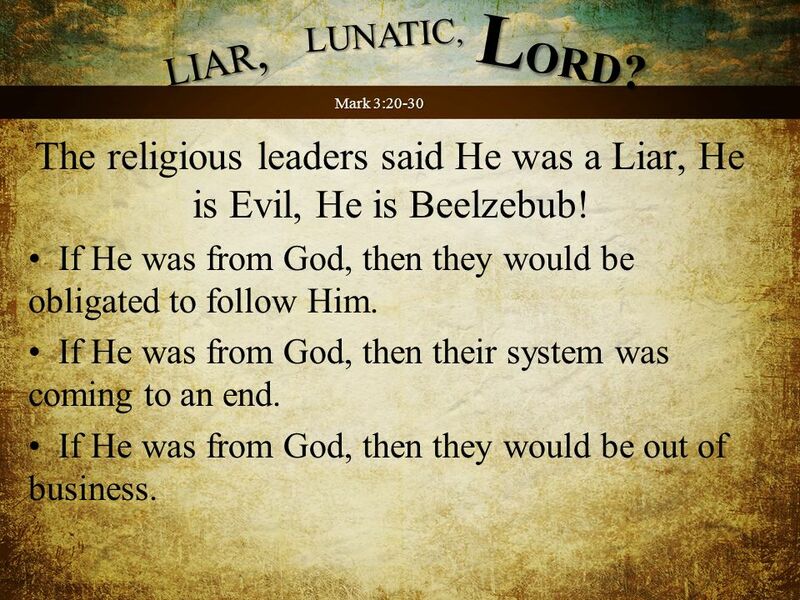 Lewis Book 2 What Christians Believe Summary of Chapters 3 - The Shocking Alternative. Matthew 12: :1-8 The disciples of Jesus pick grain on the Sabbath 12:9-21 Jesus heals a man’s withered hand on the Sabbath Sabbath controversies. Life in His Story Part 9. 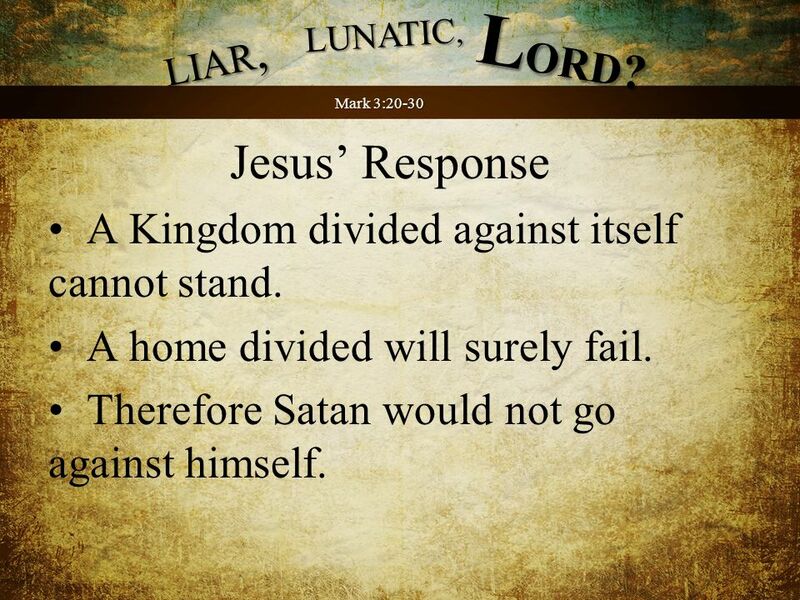 Luke 11:14-28 (NIV) 14 Jesus was driving out a demon that was mute. When the demon left, the man who had been mute spoke, and. Principles of Leadership Jesus’ Style BY: Ulysses Bestey Sr., M.TH Faith Fellowship Baptist Church Kansas City Mo. What did you say he would do? What Psalm 130 tells us about Jesus’ mission and the meaning of redemption. The Sapps Having hearts that are plowed to receive the seed of the word of God Ears To Hear. LONDON (AP) — It was a vast boat that saved two of each animal and a handful of humans from a catastrophic flood. But forget all those images of a long. God The Son. Session 1: The Good News is Jesus Session 1 “I am a historian, I am not a believer, but I must confess as a historian that this penniless.
" To the angel of the church of Ephesus write,' These things says He who holds the seven stars in His right hand, who walks in the midst of the seven. John 8: Knowing who Jesus is leads to new life. …but these have been written so that you may believe that Jesus is the Christ, the Son of God; and. 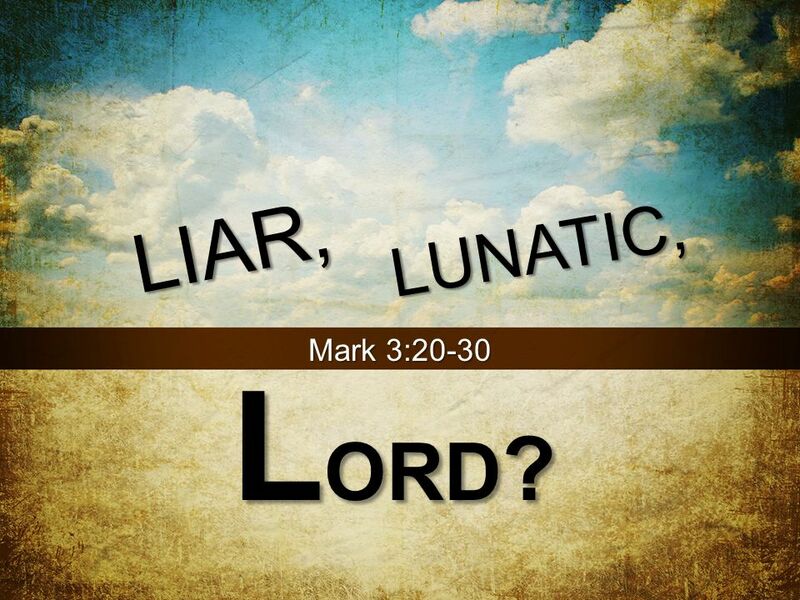 Mark 3:20-30 (NLT) 20 One time Jesus entered a house, and the crowds began to gather again. Soon he and his disciples couldn’t even find time to. 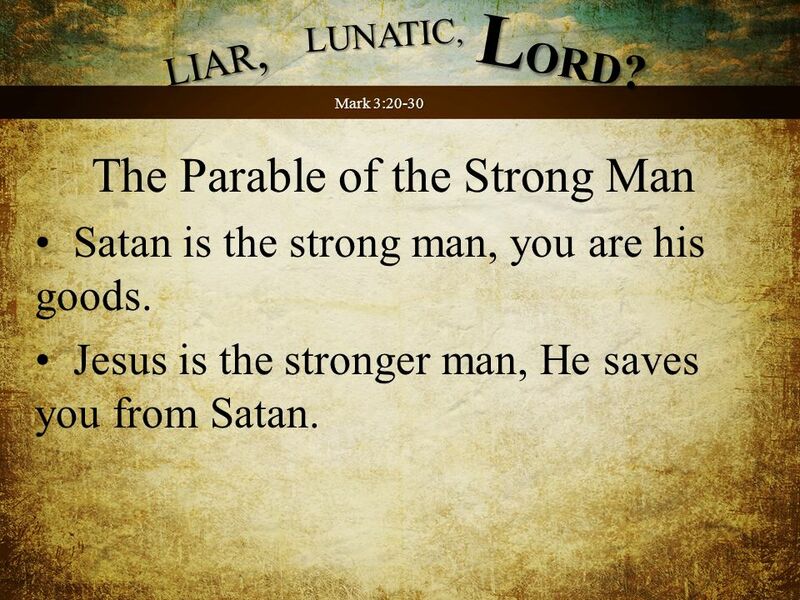 The Life of Christ (Part 1) Lesson 14 Man’s words Jesus signs Jesus’ brethren 15/23/2015.